The best part of leaving your teenage years behind, for most people, is also leaving behind the annoying acne. For some people, though, acne doesn’t always go away once puberty has finished. 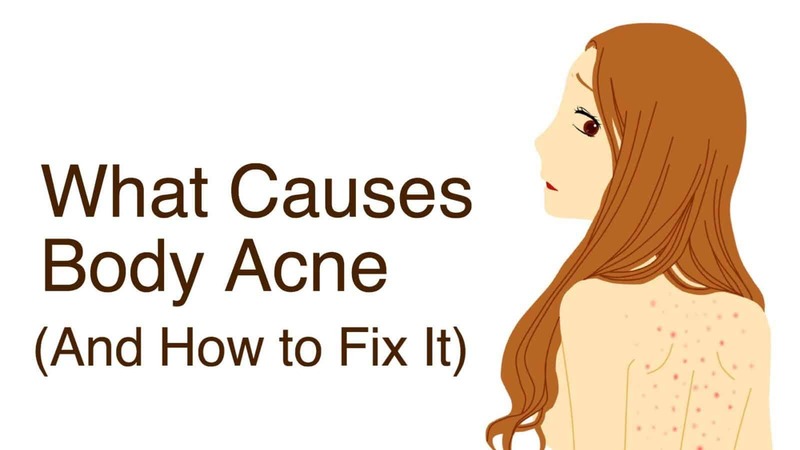 Acne can follow us well into adulthood, and once it does, it’s time to start looking for solutions on how to deal with it. As if facial acne wasn’t hard enough to deal with, some people are also faced body acne, which usually spreads across the back of the shoulders, the chest, arms and yes, even the buttocks. This can be both frustrating and a little embarrassing. Don’t worry, it’s something many adults deal with, and it doesn’t always have to feel hopeless. If you’re struggling with figuring out how to deal with your body acne, dermatologists have come up with an answer that might benefit you. Clothes. Yep, your clothes maybe the culprit to some of your body acne. At the very least, your clothes may be responsible for an increased number of breakouts. Now, this isn’t particularly about the fabric or the types of clothes that you wear, but rather how those clothes interact with your body. More importantly, how they rub. Clothes that rub continuously against areas of your body that are prone to acne can trigger a breakout. The cause? When clothes rub against an acne prone area, it pushes dirt and other debris into your pores, which then trigger a breakout of acne. Clothes that fit your body tighter, like work out gear, can cause bacteria to grow while you’re sweating and be oil starts to build up in these spandex clothes that aren’t very breathable. So How Are We Supposed To Fix The Issue Of Clothes? The best solution is to avoid tight fighting clothes, and instead opt for something lighter and looser, especially in the problem areas. If your workout pants cause your legs or buttock to break out in acne, you may want to opt for a more breathable option, like gym shorts. Dermatologist experts agree that tight-fitting clothes coupled with a good, hardy workout can make your acne worse, and can be one of the major causes to your breakouts. If most of your wardrobe doesn’t leave much room for this solution, you can also try certain cleaners with your skin that maybe help alleviate some of the breakouts. Cleaners that have salicylic acid can be used along with a body brush to help exfoliate your skin after a workout. The goal is to keep body clean and free of sweat and debris that can cause unpleasant build up in your pores. If you have back acne, you may need to try a solution that’s a little bit stronger. The skin on different areas of our body have different thicknesses, and react to exfoliation differently. For example, the skin on your face is thinner and more sensitive to things like salicylic acid than the skin on your back, so you may need to use a slightly stronger cleanser when focusing on breakouts on your back. If you’re prone to breakouts on your back, you may also want to forgo wearing a backpack. The straps can cause all of that unpleasant rubbing that gets debris into your pores. It can make the issue worse, so if you’re the type that deals with acne along the back of your shoulders, opt for another type of bag. You may find some relief with a messenger bag that goes over one shoulder and doesn’t rub or irritate the skin on the back of your shoulders and your back. Not all body acne reacts the same, nor are all breakouts caused by our clothes. However, oftentimes we think of clothes as a neutral part of our bodies, rather than fabrics, materials and chemicals that interact with our skin each day. If you suspect that your clothes may be giving you a bit more grief when it comes to your body acne, try switching it up for a few weeks to see if it gets better. If a change in your clothes and over-the-counter solutions just aren’t cutting it, it may be time to make an appointment with your dermatologist and see if there isn’t something else to try.